Moody alternative electronic folk pop singer songwriter Emily Dawn is on the cusp of greatness, without a doubt. Since the release of her debut EP ‘Revive’ in April last year, the songstress has leapt forward in maturity, perspective and performance, honing skills beside Wolf and Willow on tour earlier in 2017 and working with some of the best the Sunshine Coast has to offer. Prolific is becoming a catch-word when describing her work ethic. A confident lady on stage, she oozes mystery with a haunting voice that you just don’t want to stop listening to. 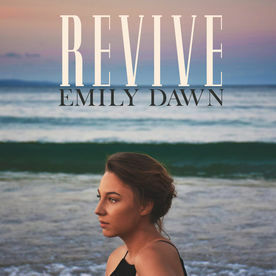 Her music is tight and well structured, presenting an identifiable faith journey that draws loyal fans who, like us at Aussie Grown, can’t get enough of Emily Dawn.